Conservation land trusts across the state were busy last year, protecting a total of 2,116.7 acres of land. GIS Consultant David Holman once again has compiled a comprehensive look at the impressive accomplishments made by these dedicated agencies over the last year. Jo Daviess Conservation Foundation led the way last year in protecting 64 percent of all the privately protected land in 2016. Friends of the Kankakee formally established the Kankakee National Wildlife and Fish Refuge and expanded the Refuge’s footprint by adding 12 properties. The Conservation Foundation was awarded a $250,000 grant from the National Fish and Wildlife Foundation for the Fox Valley Monarch Corridor Project, a collaborative partnership between 12 public and private land organizations. 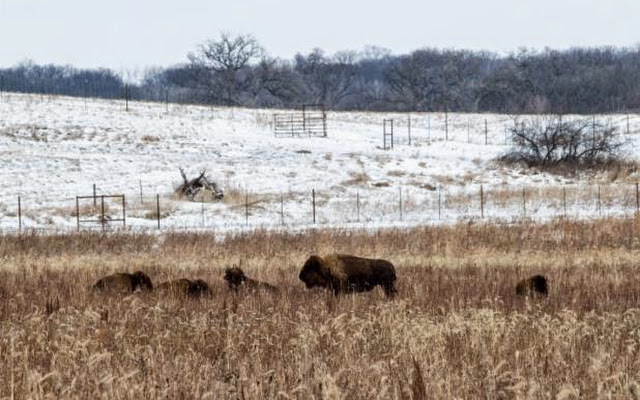 Thirteen bison were born at the Midewin National Tallgrass Prairie, bringing the total herd count to 39. Nachusa Grasslands welcomed 17 calves, increasing that herd to 89.